Although it’s a small and mostly uninhabited island, Kornat covers around seventy per cent of the National Park Kornati and is the biggest of eighty-nine islands in the Archipelago named after it. The island has no permanent settlements and together with the other islands in the archipelago, it is considered a refuge for those who wish to find undisturbed natural beauty. 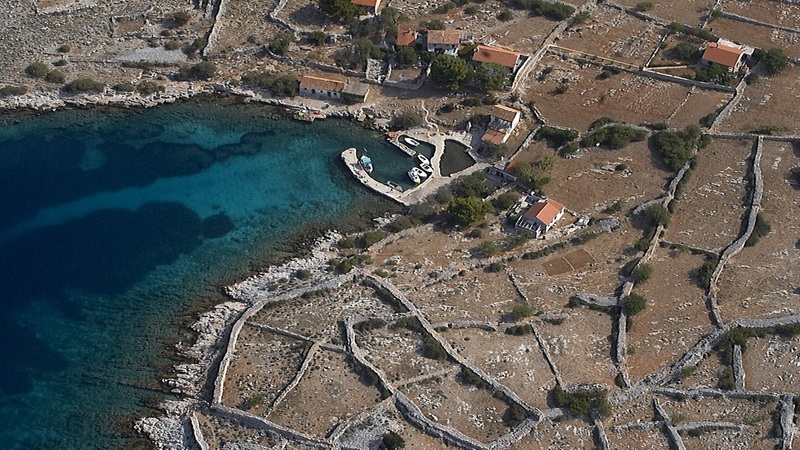 Especially popular among yachtsmen, the island is interspersed with dry stone walls, olive tree groves and low vegetation. In the past, it was used by the inhabitants of the nearby Murter as a place to hide from pirates, to fish or raise sheep, and several votive chapels can also be found scattered around the island as proof of its seafaring history.